Young hero Raj Tarun and Hebah Patel have teamed up for the third time for the film Andhagadu which is tipped to be a comedy and romantic entertainer. The film has a lot of interesting elements as said by the makers. 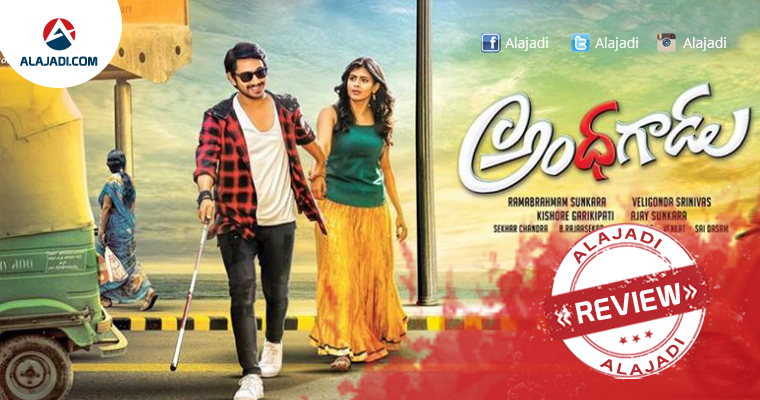 Recently, Film has completed censor formalities and received U/A certification. Goutham (Raj Tarun) is an RJ living in Vizag. He is blind from the childhood but hides the fact and loves Netra (Hebah Patel). As days pass by, she realises the truth and she leaves him. But soon, she arranges for his eye operation resulting in Goutham getting his vision. Goutham and Netra start seeing each other again by burying the misunderstandings between them. Meanwhile, Goutham starts feeling the presence of the ghost Ranjith Kulkarni (Rajendra Prasad) whose eyes are donated to him. In what manner did this transform the happy life of Goutham reveals the rest of the story of the film. Andhhagadu has a simple revenge plot in the end, but the way the director takes it to that point is superb. It is full of entertainment, and the narrative moves at a fast pace without stagnating at any point. The subplots are cleverly cooked up and designed in engaging screenplay format. The film discusses the blind people through its dialogues and it adds fun in a clean manner. The comedy is a major plus point in the film. The revenge drama angle along with the ghost drama angle individually look different and convincing but when they have been included in the film at one stretch, there’s something that is missing. A one time watch movie which can be seen for the entertainment and twists. The pre-climax scenes were shown well in the second half which are the only things which the second half has something to talk about. Raj Tarun: He surprised everyone in the film as a blind guy and his performance is shaped up properly without exceeding the limits. Hebah Patel: She is also a good performer who has impressed with both glamour and performance in the movie. Rajendra Prasad, Raja Ravindra, Paruchuri Venkateswara Rao, Ashish Vidyarthi, amongst others in important roles. The other actors like Satya, Sudarshan, Shayaji Shinde, Ashish Vidyarthi, Fish Venkat, Jaya Prakash Reddy and others are good in their roles and impressed. The cinematography by Rajasekhar is good. 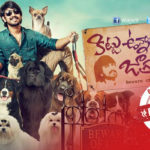 Both Raj Tarun and Hebah Patel were presented well in the film. The visuals are grand and the screen looked colourful. The editing by MR Varma is good. The artwork in the movie is excellent. The music scored by Sekhar Chandra is good and the audio album has already declared a hit. The BGM is not appropriate and it reminds us of the score from many of the Telugu films. The graphics work is poor. The production values of the production house are grand.